From a parent: "Do you need a high school diploma to do this?" 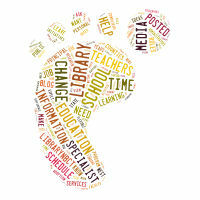 From student teacher: "I've always wanted to be a librarian. I love to read." From a student: "You've read every book in here, right?" Note: The student gets credit for thinking I am industrious. Now that I am retired, in theory, I spend a great deal of time advocating for school libraries and pushing my fellow librarians to push themselves to be cutting edge. I am often buried in complacency, but lately I have been surrounded by dynamic women who are change agents, willing and able to assume some of the responsibilities I have shouldered the past few years. Though I sometimes regret being on the outside looking in, I now have the freedom to correct misguided notions without regard to how my employer will interpret my mission. In my advocacy mission I have run into several brick walls, as we all have. No matter how articulately I might have conveyed the school library talking points and delivered the elevator speech, some people could not get past their preconceived notions of our job. All I could hope is that these people did not directly impact our day to day library functions. Without the limitations of their thinking, we had the opportunity and responsibility to show them our worth. Unfortunately some still will not see. 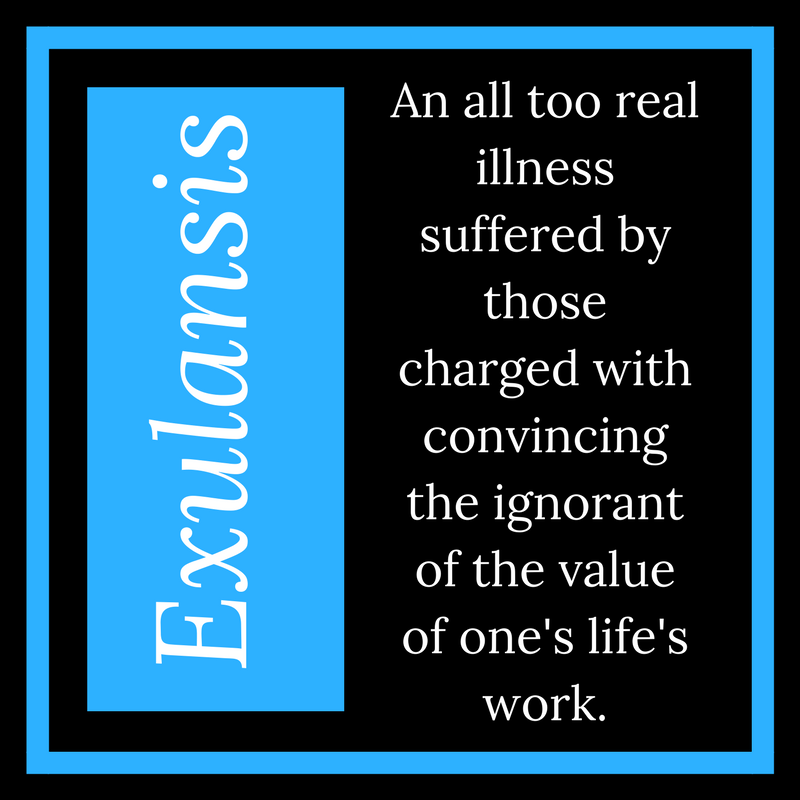 For those situations I am grateful John Koenig has coined the term exulansis, defined in the graphic above. Now I understand I am not alone in my despair. Now that my colleagues have assumed the role of chief school library advocates, other points of view and approaches will be used. I can rest well knowing the future of school libraries in my state is not on my shoulders. 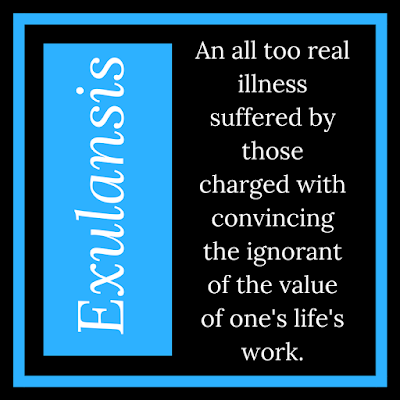 I have had about all the exulansis I can stand.